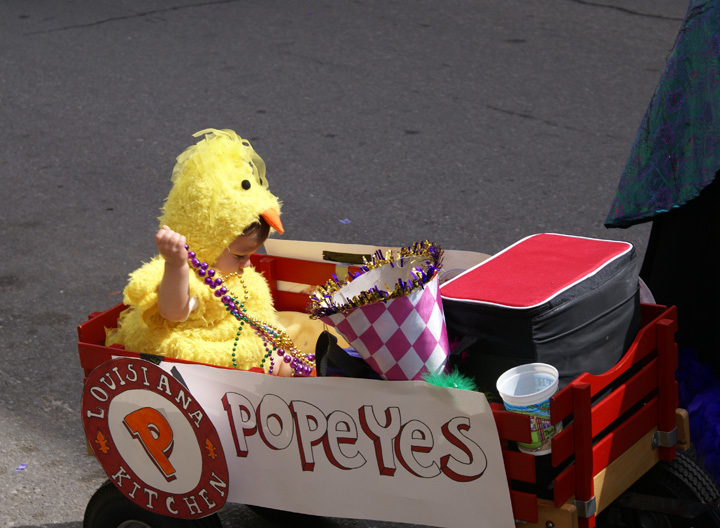 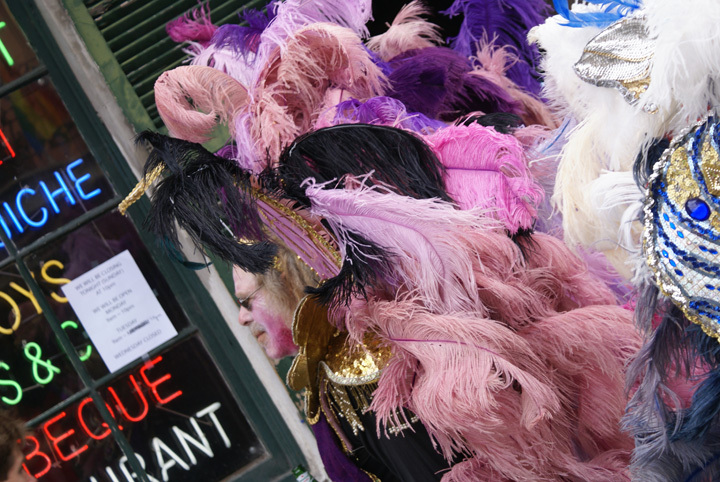 For me, the best part of Mardi Gras Day has always been the people watching. 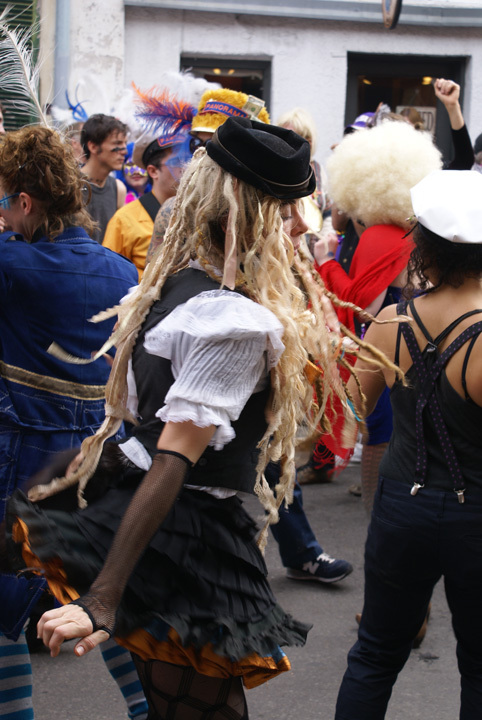 The rest of the weekend is for partying, but the last and biggest day of the season is generally more about checking out the crowd than being part of it. 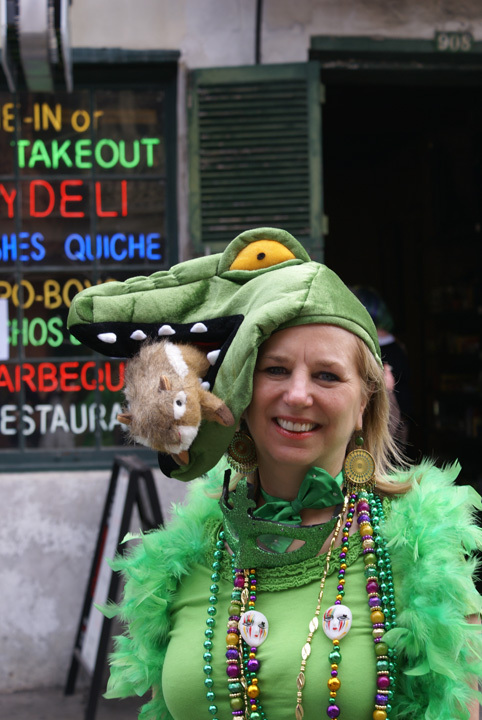 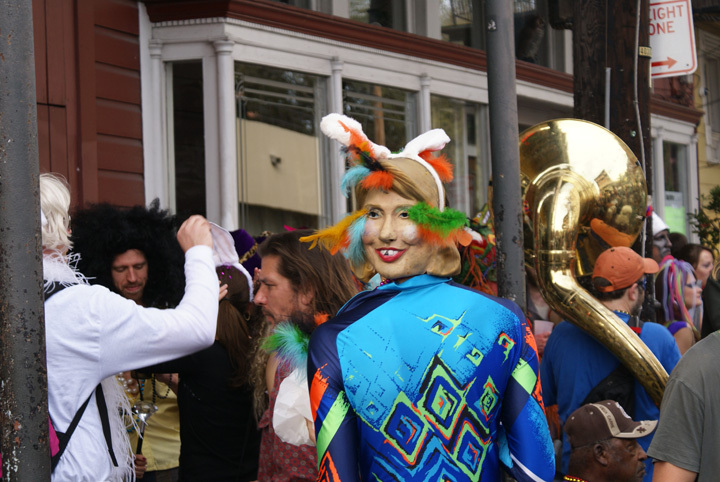 I love the colors, sparkles, and smiles that abound in the city during the daylight hours of Fat Tuesday. 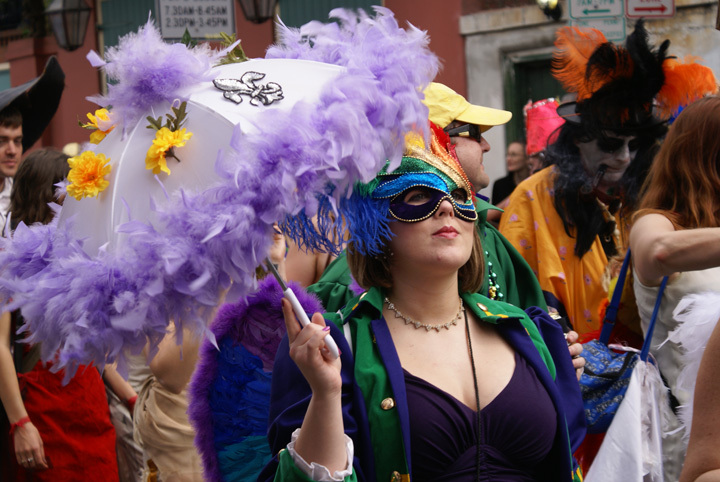 The Man and I rolled out of bed at 9am and got costumed up, then rode our bikes down to the French Quarter to take photos before things got too rowdy, as they tend to by mid afternoon. 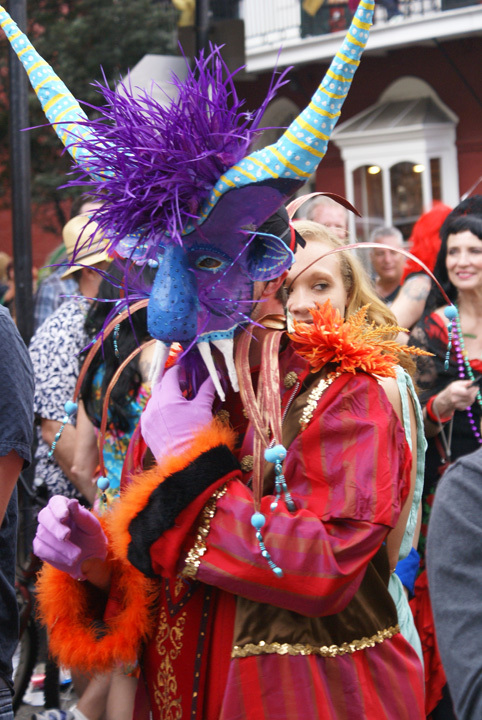 Here are a few of my favorite faces from around the Quarter and Marigny.